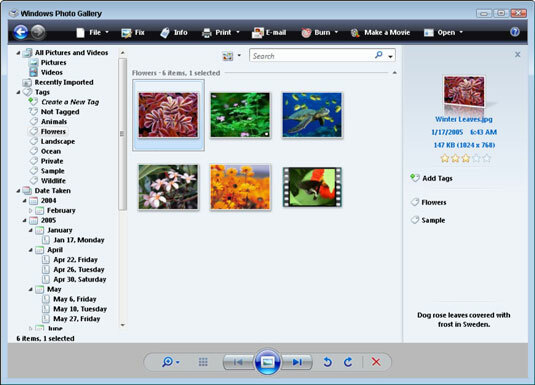 A great way to share you photos with friends and family is to create and play a slide show in Windows Vista. With the Windows Vista Photo Gallery, you don’t have to be content to just watch all the pictures scroll along until you get to the ones you want. You can choose which images to include in your slide show and control the speed and size of the show. Open the Windows Photo Gallery and select the slides you want to include in the show. Click the Play Slide Show button. Choosing the slides to include in your show. The slide show begins to play, with the slides proceeding at a preset speed. The Play Slide Show button is located at the center of the bottom of the Gallery (between the forward and backward buttons). You also initiate the slide show by pressing F11. Right-click your screen to access the shortcut menu. The shortcut menu for controlling a show in progress. You can use these options to control the slide show. 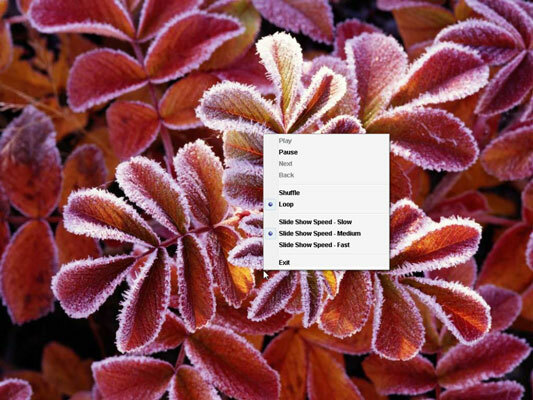 Control how quickly the images change by choosing Slide Show Speed – Slow, Medium, or Fast. Control the order of the pictures by choosing to have the pictures play in a loop or to shuffle them up. You can also use your keyboard to control the following aspects of the slide show. To end the show, press Esc. To move more quickly to the next or previous slide, press the right- or left-arrow key.